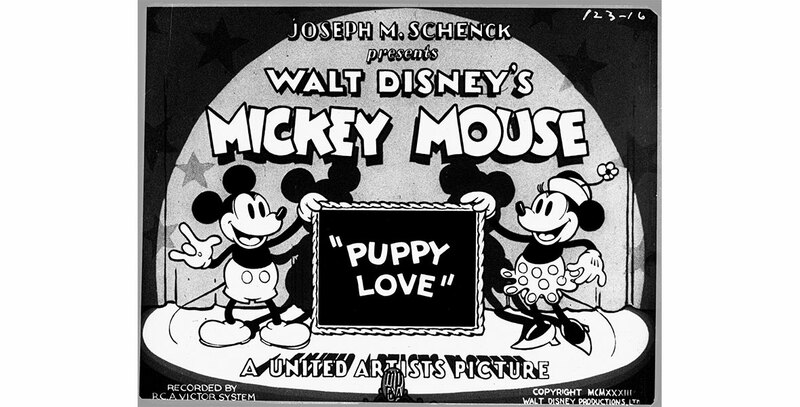 Puppy Love (film) Mickey Mouse cartoon; released on September 2, 1933. Directed by Wilfred Jackson. When Mickey and Pluto mix up their gifts to their sweethearts, Minnie and Fifi, all sorts of romantic complications ensue over Fifi receiving a box of candy and Minnie a bone. Minnie is enraged until she sees the mistake, and there is a happy reunion for both couples.